Not been updating my blog for quite sometime.미안! 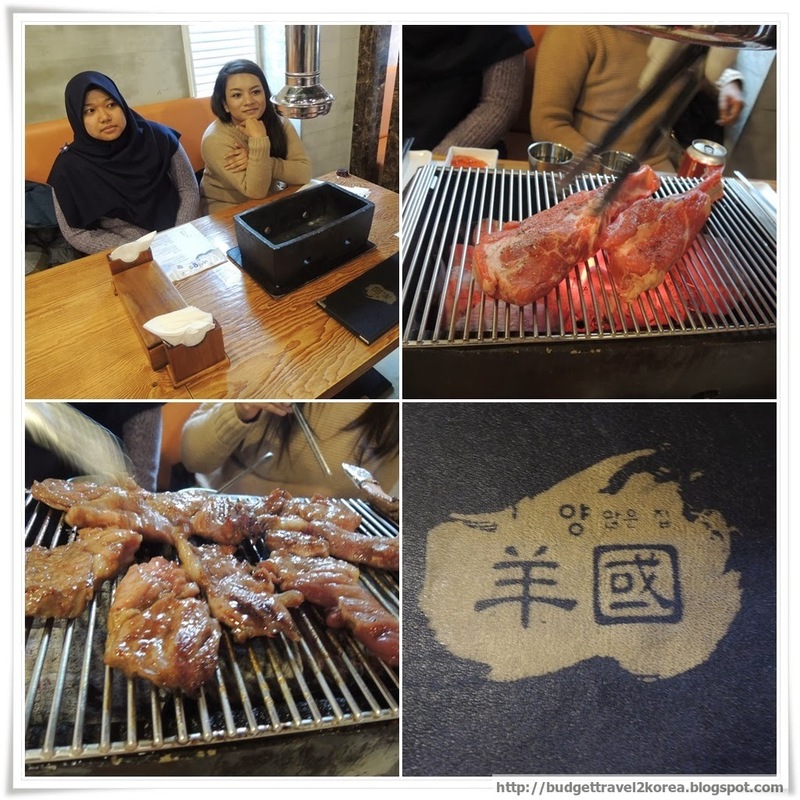 It was until my dear friend Farhanna and Farah from Singapore came for a due meet-up at Yang Good - Halal BBQ Lamb restaurant near Yeoksam Station that I felt the sudden urge to update. Because I love lamb so much!! That was totally...unrelated....hahah..I know but well..just finding an excuse feels good sometime. Anyway..I love lamb because of the smell. Hmm...weird? No...I love fermented and smelly stuff like Kimchi so I can enjoy all the glory of lamb just the same. Hehehe.. Surprisingly...the Halal lamb from Australia served in the restaurant has little to none of that smell. I swear...I am not bias towards lamb but my nose can smell the distance if there is any lamb grilled somewhere out there. Hahahha..
And....it was so tender and juicy. I think that grilling the meat from medium to well-done was quite good but more than well-done just destroy the lamb's marvellous state of being. Hoho...Sorry Farhanna, bits of burnt meat is not good for your health! Heed my advice...kekeke. Our verdict: The unmarinated lamb is the best. We found that the marinated lamb was kinda sweet. The lamb was better enjoyed on its own for the original taste. We love steak..so we love the lamb grilled with a dash of pepper just fine. We ordered 3 bowl of rice for 1,000 won each = 3,000 won. Just a serving each plus rice for 3 pax was enough for us. By the time we grilled the marinated lamb, we were full and forcing ourselves to finish them. I wish that they have some lettuce to wrap the meat with just like in the drama sorta..hehe. How to go to Yang Good? 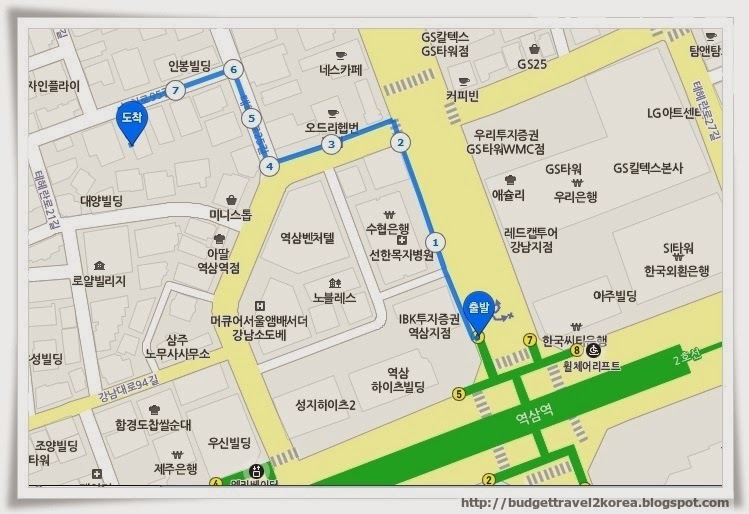 Go to Yeoksam Station, Line 2 (green), Exit 6 and follow the map above. Yang Good Halal BBQ Lamb Restaurant - youtube vide (in Korean).